Crushes uncoated pills into powder form using screw action. Ideal when mixing medication in with food or drink. An integrated storage compartment allows you to store medication also. 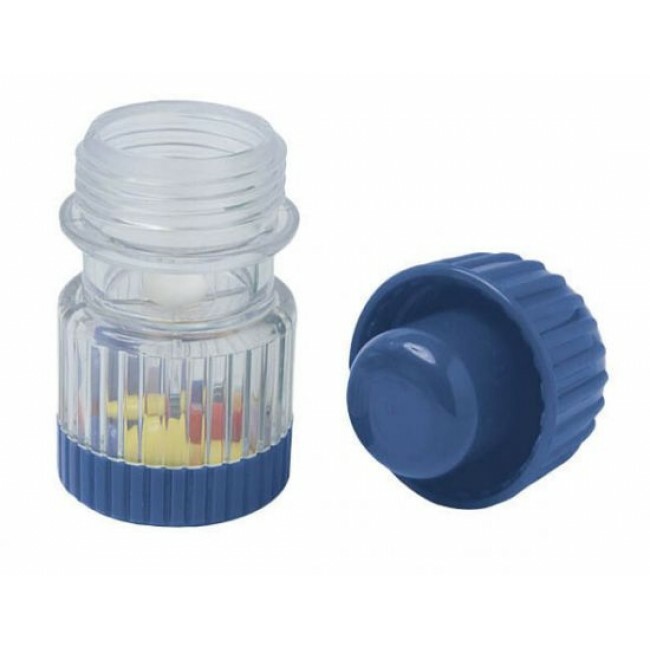 It is lightweight and compact making the Pill Crusher Container ideal for putting in a bag when travelling or when on the go. Stores pills in bottom compartment.